The life of any living organism is closely connected with light. 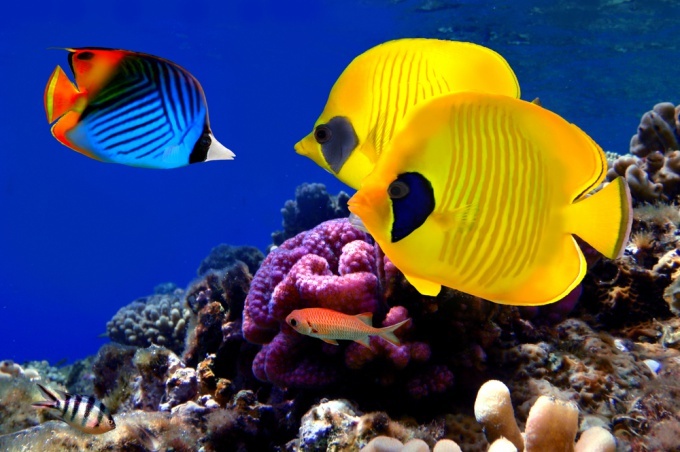 In the aquarium too much light can cause the growth of algae and protozoa cause many other troubles. However, the lack of lighting your plants will not develop properly or even die. To adjust the natural lighting is very difficult, sometimes it's just impossible, so you need to use additional artificial light to ensure the full life of the aquarium, first and foremost, it is important for your plants. Correctly calculated the power and duration of the illumination will help you to achieve an optimal result. First of all, you should know that the aquarium must be lit evenly, this is possible, only using artificial light. Experts say that ideally, the Aqua should be illuminated only by special lights, without the participation of sunlight, as the sun's rays provoke the growth of brown algae. Place the aquarium away from the window and get a special lighting. 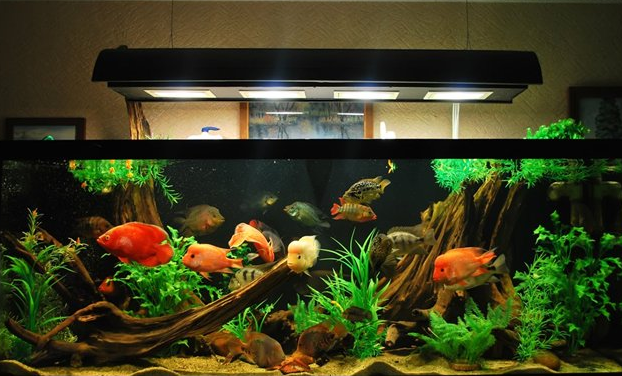 You need to know some General guidelines that allow you to choose the right power for fluorescent lamps for aquarium. If your aquarium has a depth of about forty centimeters, then calculate the coverage is quite simple: use lamps, which are able to give you one watt for one centimeter length of the aquarium. For example, if the length is 50 cm, you will need the lamp at 50 watts. There is another, more versatile method of calculation: for each liter of your tank should be 0.5 W, that is, to volume of 60 liters is enough lamp at 30 watts. 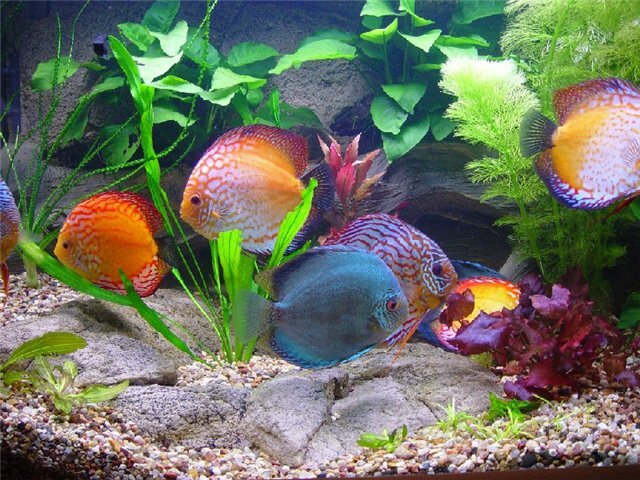 The main lighting is necessary for your aquarium plants. Probably many of you know that most ornamental algae from the tropics. In this climate the day length is on average twelve hours from this number and it is a start. For plants in your aquarium, a good option would be daylight lasts 12 hours, but note that you must correctly calculate the capacity of the devices, without this daylength does not play any value, as the lighting is either too bright or too dim. 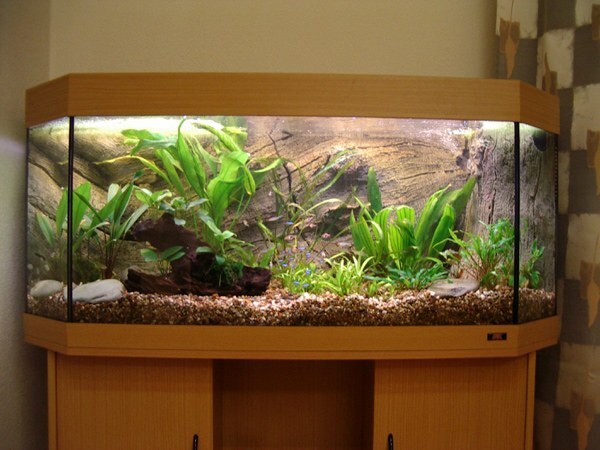 You can avoid problems with lighting, if you initially purchase an aquarium with a lid which has a special lamp. The only disadvantage of such a purchase - price. 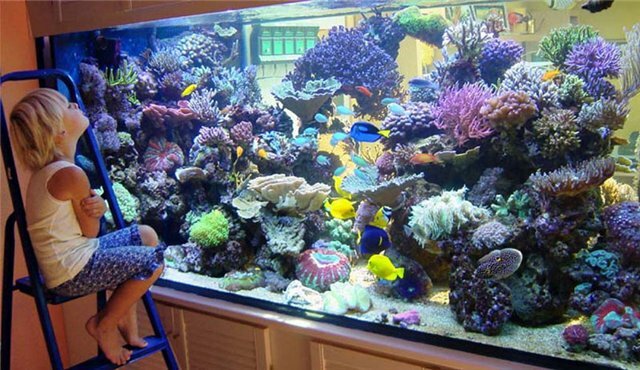 If you like to watch the aquarium later in the day, it is best to install close to an additional light source. The very same day hours for water to exceed is not worth it.